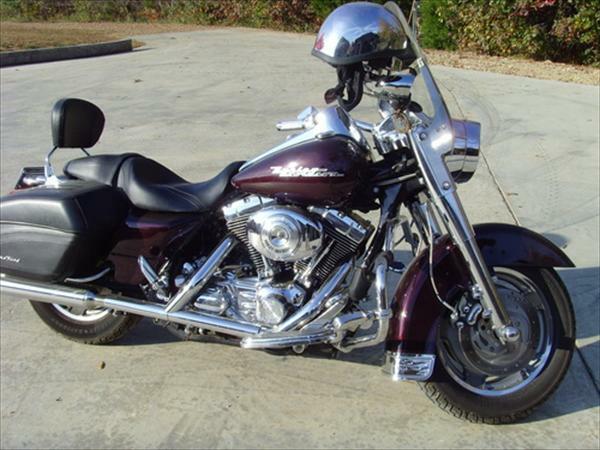 2005 Road King Custom, black cherry paint, screamin eagle stage one kit, quick detach windsheild, bags and back rest. Over $4000.00 in extras and chromed out. Excellent condition and well maintained. 20k miles. $11,800 obo call 256-348-3200 or email worrur1968@gmail.com for additional photos.